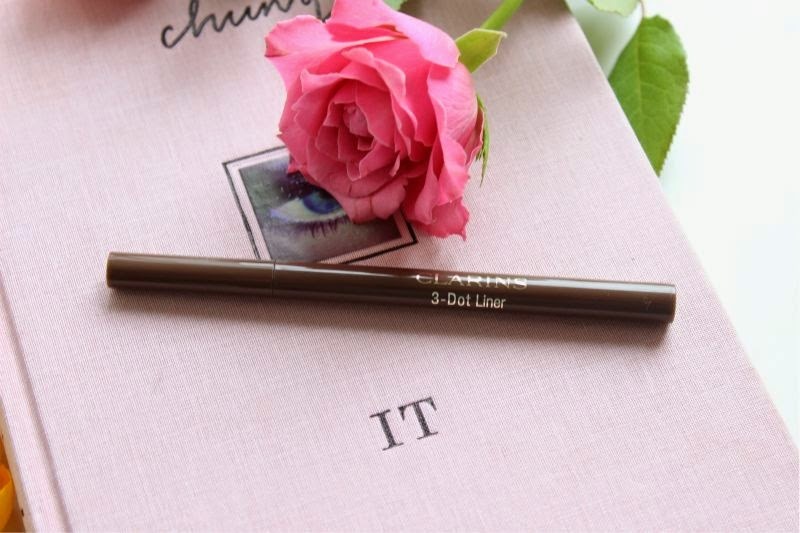 I've reviewed a few 3 Dot Liners in the past but I have found that although the Clarins version wasn't around for long and is slightly pricier than the likes of Bourjois Intuitive Liner it still remains my favourite. Yes I have reviewed this in full already with the black version but to give you a brief summary: this liner comes presented within a sleek brown pen applicator complete with a felt tip applicator that has 3 prongs, thus forming the 3 dots and gaining the product such name. 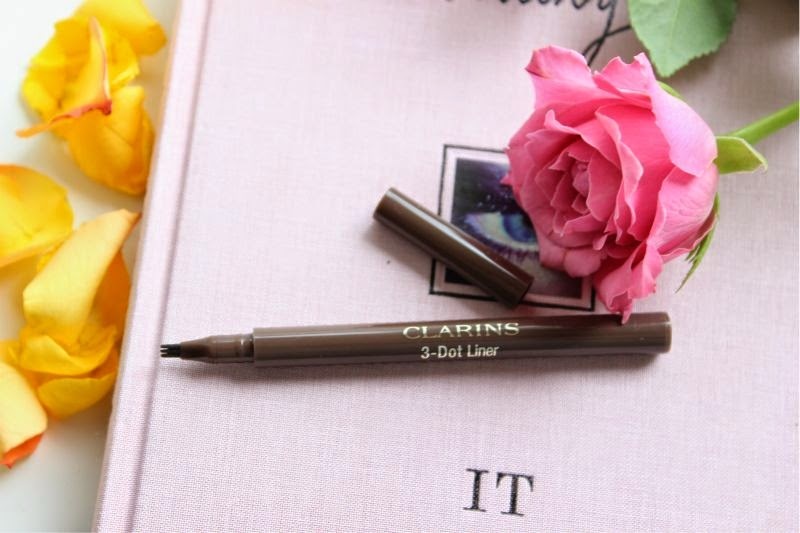 At the moment the Clarins 3 Dot Liner only comes in black which is an intense true black and permanent and for a limited time only there will be the brown version. So what does the brown version of the Clarins 3 Dot Liner in Brown bring to the table? It is more subtle and dare I say it natural which I feel is the general vibe of the Clarins Autumn 2014 Ladylike collective. The brown shade is still fairly deep ( a rich chocolate brown) but not as harsh on the skin and may be just what paler complexions have been on the look out for. I personally like that it frames my eyes but with a softer approach and find it works great for me on days when I really don't want to wear too much make-up. I simply dab the liner along my lash line, add a quick coat of mascara and my small eyes look more awake and wide not to mention it helps give the impression of a more polished look. 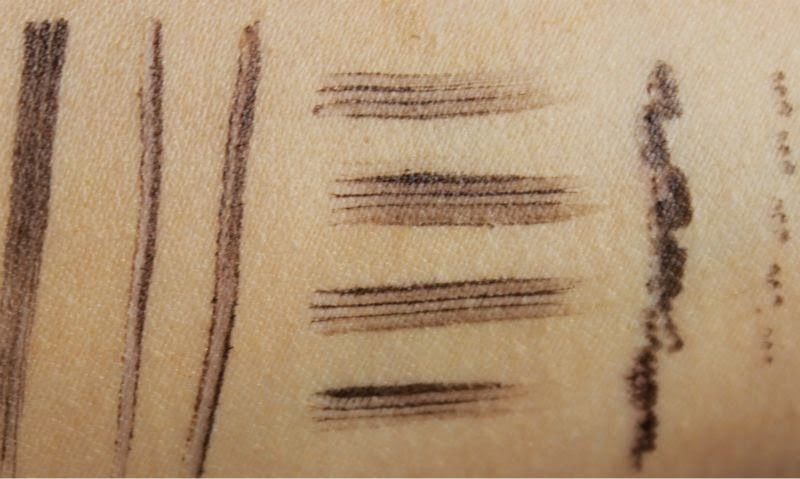 I never thought I'd be swayed by brown liner but the Clarins 3 Dot Liner in Brown has certainly twisted. Since being introduced to the whole 3 Dot concept over year ago I have experimented in several ways to see which methods work best for my eye shape. At the moment I still prefer dotting it on close to both lash lines for a subtle effect that gives the impression of fuller and longer eyelashes, without the need for heavy eye make-up. 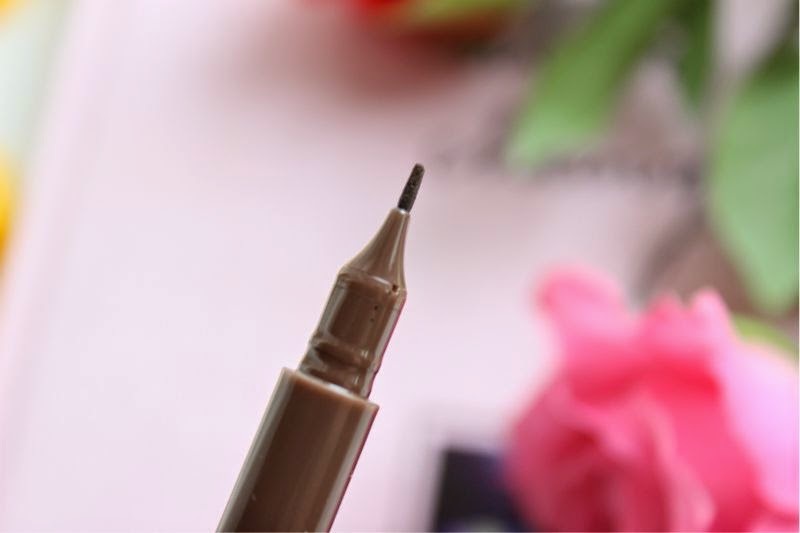 However you can use it to draw on thick lines when using all three prongs at once or turning the liner on its side using one prong for a truly fine liner. Whatever way you determine best for you I'm sure you will agree with me that there is not many liquid liners that can hold a candle to the 3 Dot Liner in both colour pay off and ease of use. Unlike some liquid liners the nib of this version always stays damp with the liquid liner resulting it it always been ready to use without having to lean down heavily to disperse the liquid. Despite being a liquid it is not too runny nor loose so it doesn't bleed on the lids or run just precise, clean ines each and every time and for that reason alone I can not recommend it enough! 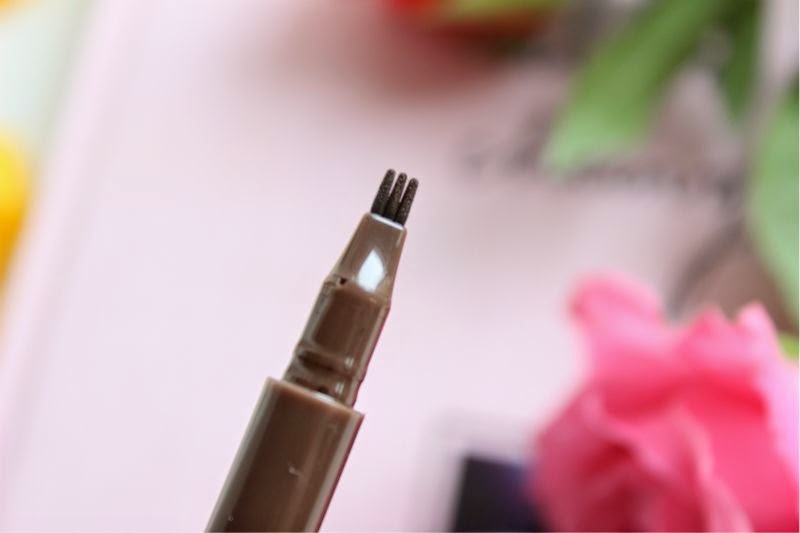 Clarins 3 Dot Liner in Brown will launch this coming August and will be limited edition.